Discover Fenchurch our men's Oxford in black calf leather with a rubber sole, a superb addition to the wardrobe of any slick city gent. Wear yours with a dark blue blazer and grey trousers to create a sharp look that's perfect for the office but will also work just as well for a night out. Fully hand crafted in our Northamptonshire factory in England. Superb shoes highly recommended . 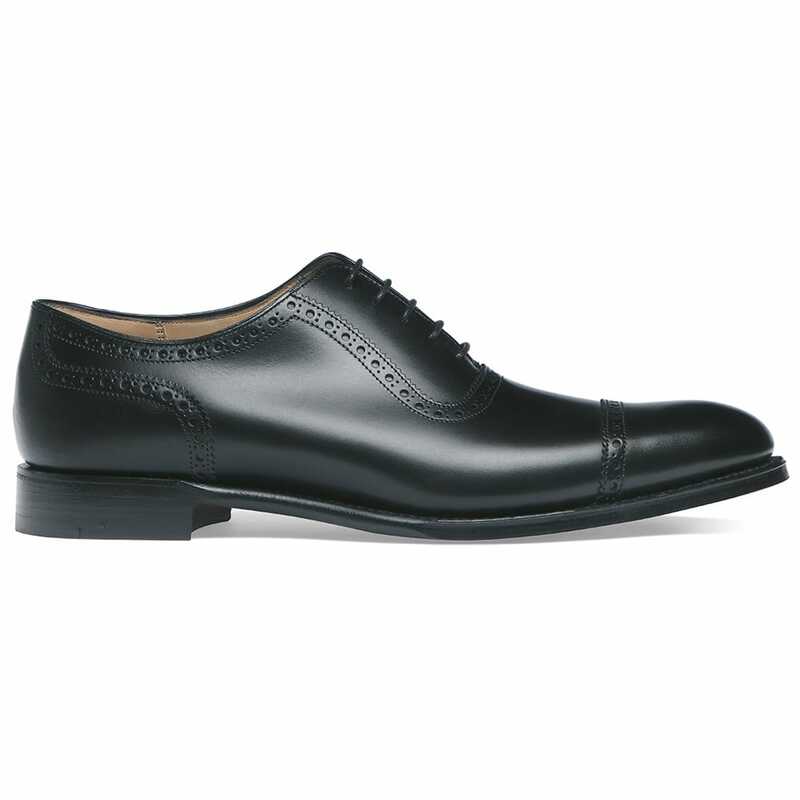 I own 6 other pairs of Cheaney and they are all of high quality construction with up to the minute styling. My only gripe is Cheaney use DPD for delivery which if you are not home between 9-5 Monday - Friday and who is ? can be a problem.